Thanks, and We Are Here When You Need Us! I would like to say thank you to all who have made this a great year! 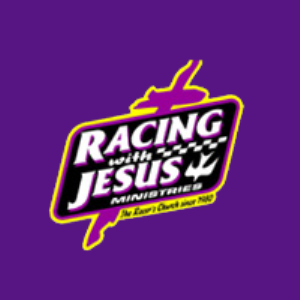 Racing With Jesus Ministries is here to stand along side the racing community through the good and bad life offers. You know what we stand for so there is no need to push anything. We are here to build lasting relationships with ALL people. This season has been hard for me in my personal life. "But God "never let me down. He has continued to be faithful in all area's. 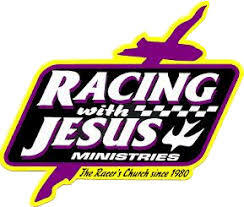 With that being said, I know there are others hurting and struggling with certain things and I would like for the racing community to know that we are willing to come to you and your race team/business to share the experience, the strength, and the hope that the Gospel provides. This is not about judgement or condemnation. This is about people helping others through life, seeing freedom from area's that hinder us, and seeing families/raceteams/businesses being the best they can be..
Btw..most NASCAR teams and successful businesses have chaplains on staff.They do it because a person who is healthy spiritually is a healthy person..
8000.00 Dollars on the line this weekend ...Thats right two 40 lap events both paying 4000.00 to win..Come on out to the place "Where The South Started Racing" Bubba Raceway Park on Saturday Oct 14th, And to the "Big Half Mile" All Tech Raceway on Sunday the 15th...Sat grandstands open at 5 racing around 7, Sunday grandstands open at 1 racing around 3.30...COME ON OUT! 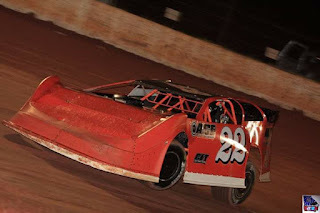 Making an appearance at Bubba Raceway Park and All Tech Raceway in his familiar orange and white #22 Is Blackshear Georgia driver Cecil Eunice. Out of St Petersburg Fl Its Tyler Clem.Or How he's called around the track "Clem Shady"..Young Clem is welcoming the National Late Model Series into his playground , but he is a real threat to defend his home turf during The Showdown weekend.Keep your eyes on this young man. 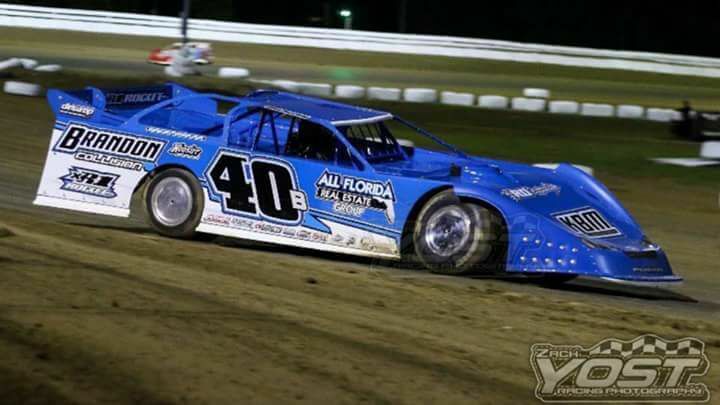 One of Bubba Raceway Park fan favorites is Anthony Florida's Rich Pratt in His A.p. auto sales / Sauls farms entry. 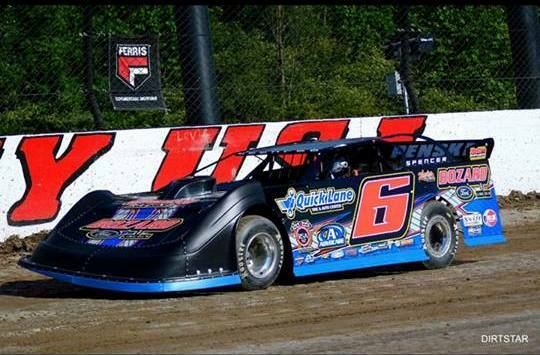 Rich and crew are excited about the return of the National Late Model Series to Fl and are ready to go racing. Out of the Reutimann Racing Stables in Zephyrhills Florida is Wayne reutiman Jr . Wanye and crew have access to some of the most valuable set up information available from his dad and uncle Buzz..Gonna be great to have a Reutimann with us for this epic event..
Also racing the National Late Model Series Showdown weekend is Valdosta Georgia's driver Russell Brown jr.. The list of talent just keeps growning. 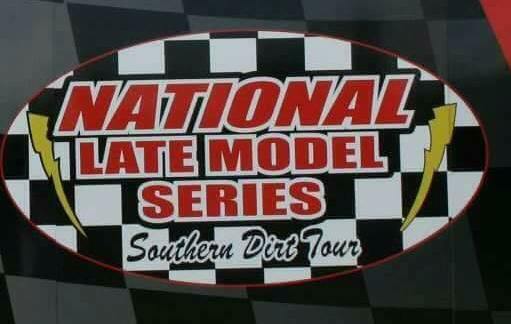 Don't miss out on your chance to see some of the best Late Models drivers in the south. 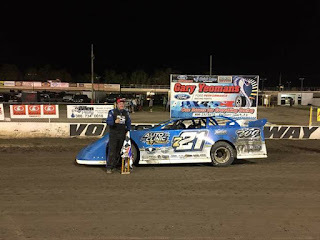 in his fitzfactory Longhorn looking to repeat this weekend during the National Late Model Series Showdown at Ocala and All Tech. 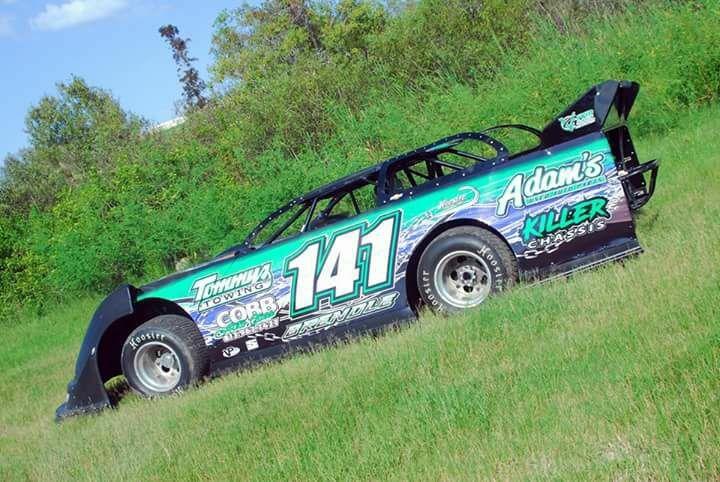 Tampa ,Florida's Steve Brendle is another driver sitting on GO for this weekends National Late Model Series Showdown . 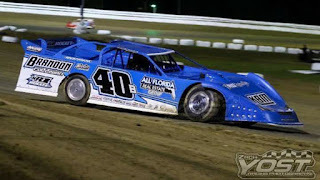 Tampa Florida's Megan Rae Meyer will also be in attendance for the National Late Model Series Showdown at Bubba Raceway Park and All Tech Raceway..
With Late Model championships at Volusia Speedway park and Golden Isle Speedway this yearBo Allen plans to join the growing number of drivers in the National late model series Showdown October 14th at BRP and the 15th at All Tech Raceway..
"The Killer" Kyle Bronson fresh off the road with Woo and Lucus Oil is ready to race at the National Late Model Series Showdown Oct 14th @ Bubba Raceway Park and All Tech Raceway on the 15th..
Chad Tuten in the Southeastern Petroleum Services #51 will also make the trip to the Sunshine State for the National Late Model Series Showdown weekend. Jupiter FL driver Clay Harris is also ready for the National Late Model Series Showdown weekend.. Bubba Raceway Park Oct 14th All Tech Raceway on the 15th..
After an encouraging season on the road running with all the top touring Late Model series, St Augustine Florida's Blake Spencer has decided to take part in this weekend's National Late Model Series Showdown. 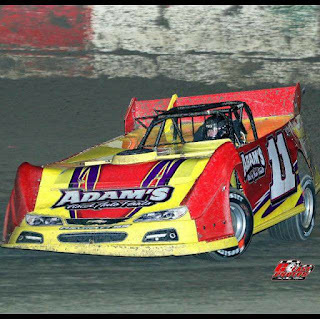 The Bozard Ford racing team is ready for there return to action at Bubba raceway park and are expecting a great weekend of competition. 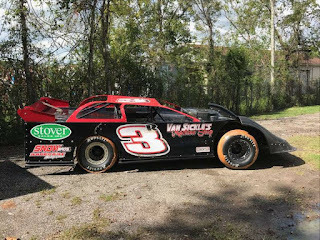 Another Georgia entry making his way to Ocala Fl on Saturday and to All Tech Raceway on Sunday is Valdosta Ga driver Travis Carter..
Doug Horton in his victory by Moyer chassis/ Adams used auto parts entry also another Florida driver set to race in the Showdown. It's the "God Father of Dirt" Keith Nosbisch and his Adams used auto parts Rocket xr1 .With the God fathers last win at Volusia speedway just a few weeks ago he and the team feel very confident about their chances at the National Late Model Series Showdown. 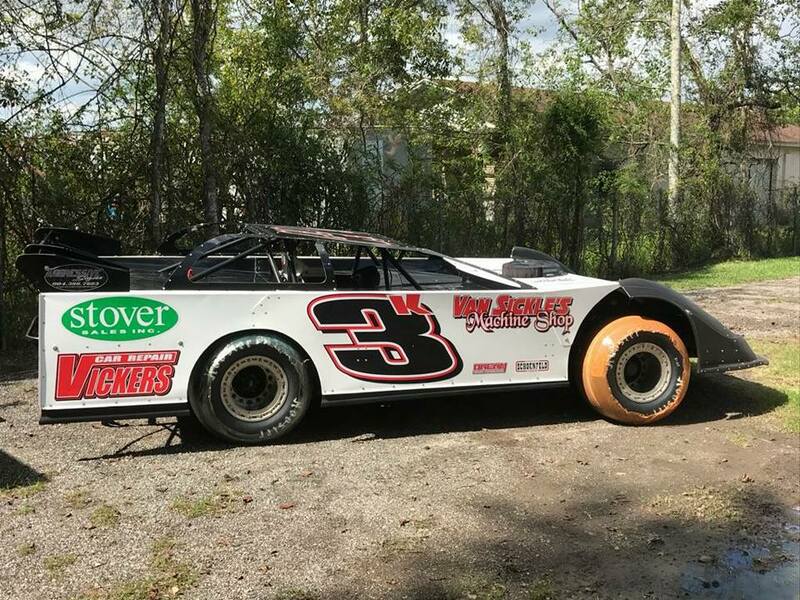 In the 01 Napa Auto Parts / Green Flag Automotive / GRT chassis is Cole Exum out of Valdosta Georgia and making his way South for this weekends National Late Model Series Showdown. 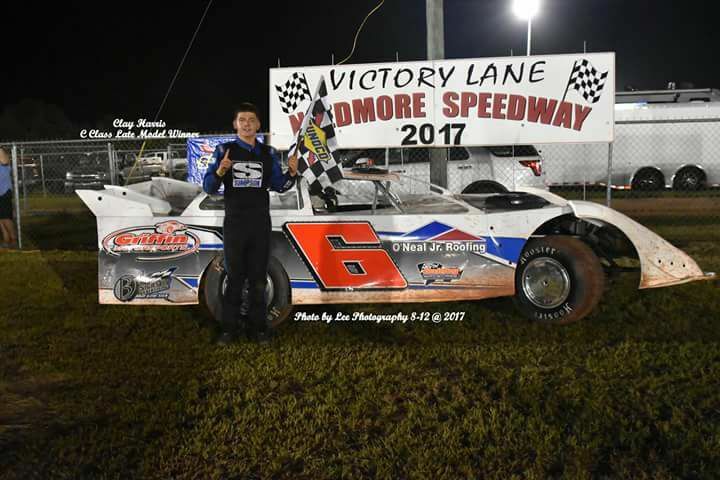 (Senoia, GA – October 8, 2017) Alabama’s Dillon Tidmore nabbed his first checkered flag of the season at Senoia Raceway during Saturday night’s Showdown Warm-Up race. Tidmore staved off all charges from Senoia’s Ashton Winger to claim the laurels. 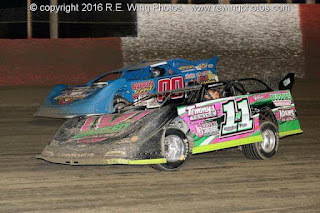 It was the 21-year-olds tune-up for the track’s big race at the end of October. 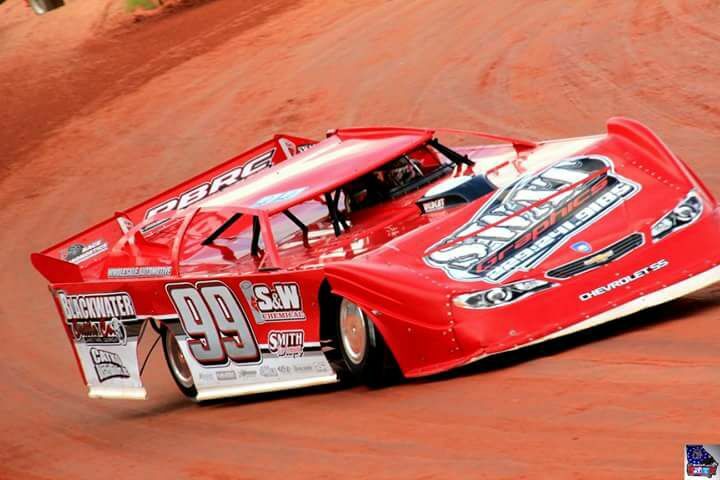 The Showdown at Senoia will offer $13,000 in top prize money for Tidmore and his fellow Super Late Model drivers to chase at the three day festival of speed on October 26, 27 and 28. 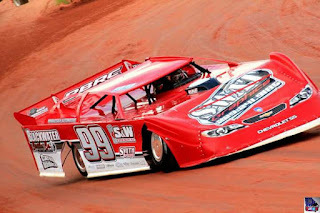 Other winners on a night of preparing for the Showdown included Senoia’s Clint ‘Cat Daddy’ Smith in the Limited Late Models; LaGrange’s Dusty Jones in the Crate Late Models; Bobby ‘Wild Child’ Arnold of Newnan in the Late Model Sportsman; Villa Rica’s ‘Smokin’ Joe Hillman in the Hobby and Newnan’s Dorough Bright in the Bombers. Fifteen-year-old Logan Johnson of Silver Creek was the winner in the Hot Shots division. Here are the results of all feature races at EAMS for the Alabama State Championships 9/22 thru 24/2017. 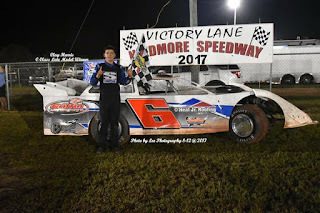 (Senoia, GA – September 17, 2017) A pair of twenty-year-olds and a teenager showed the grizzled veterans of Senoia Racewaynhow to get things done on Saturday night. Newnan’s Marty Lunsford qualified the fastest in the Crate Late Model division before leading every lap in his feature while Alabama’s ‘Thrillin’ Dylan Knowles did the same thing in the Late Model Sportsman. Not to be out done by his fellow young guns, Senoia’s seventeen-year-old Ashton Winger worked past current Southern All-Star Series points leader Austin Horton before winning his second Super Late Model event of the season at the tough ‘bull ring’. 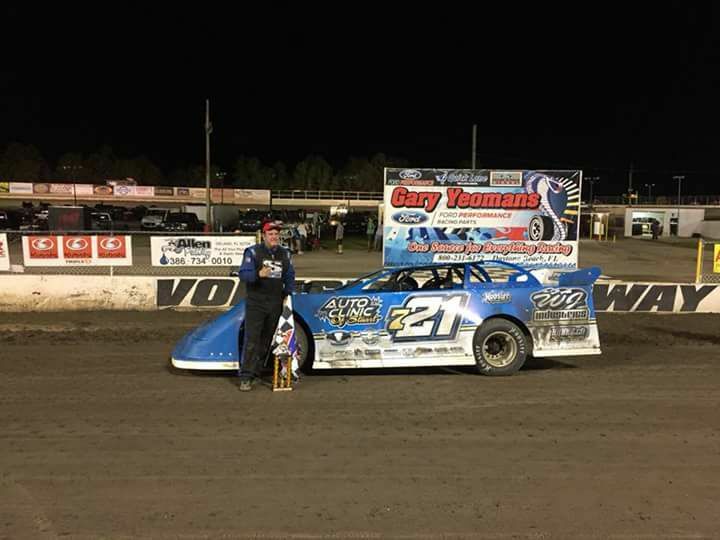 Some of the veterans also found their way into victory lane including LaGrange’s Tod Darda who won the Limited Late Model feature. 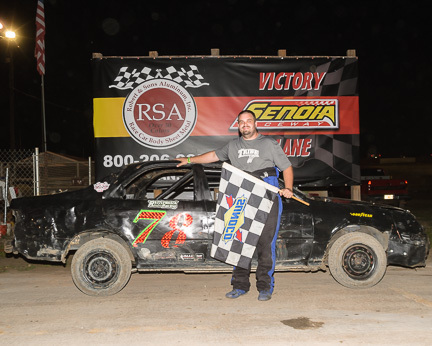 Whitesburg’s Shane Tidwell and William Blair won the Hobby and Bomber mains respectively while Mark ‘Mad Dog’ Newton of Hampton won his tenth Mini Stock feature of the year. 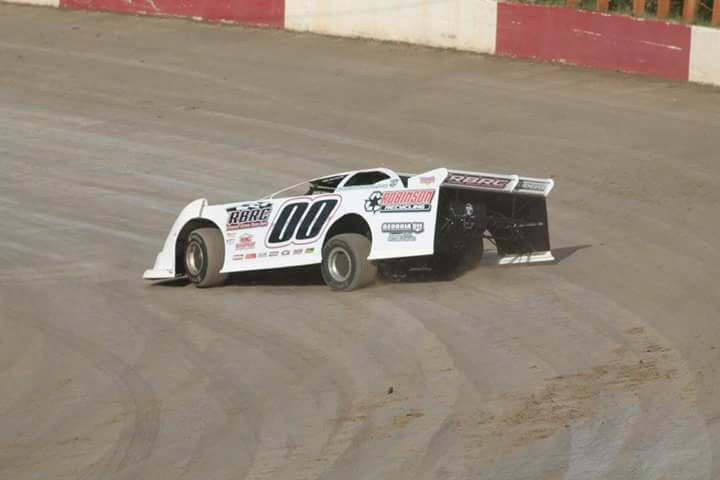 Newnan’s Nathan Farrow bested the field of Hot Shots. 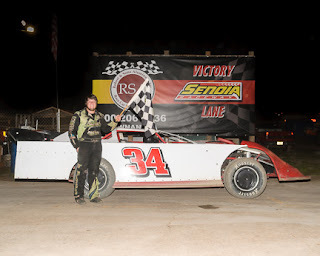 Whitesburg hot shoe Austin Horton qualified on the pole for the Super Late Model race and looked like he would have smooth sailing as he left Winger and the rest in his dust through the first few laps of the race. Thomaston’s Shane Fulcher was climbing through the field as was three time points champion Clint ‘Cat Daddy’ Smith of Senoia. Winger picked up his pace catching Horton by lap fourteen and passing him on the high side. 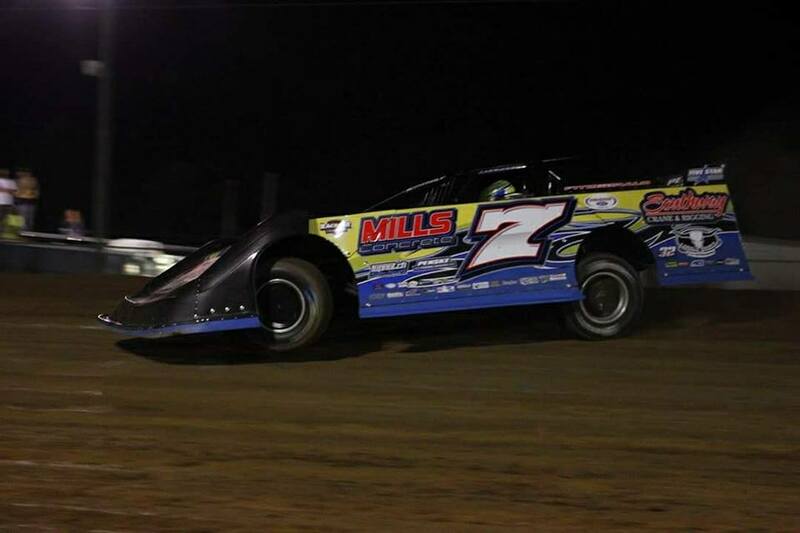 A few laps later Smith continued Horton’s slide moving into second place. Horton than found himself in a furious fight for third place with Fulcher as the two swapped the position back and forth for the final three circuits. Smith could not catch Winger as the youngster posted the victory. Horton would win the battle for third as Fulcher slipped up and then lost fourth to a hard charging Bubba Pollard before the end. 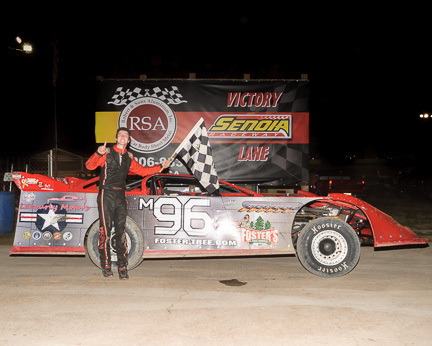 One of the most competitive races of the night came in the Limited Late Model feature. LaGrange’s Dennis Hale was the race’s first leader with points champion ‘Magic’ Matt Dooley racing him hard until lap six when Dooley’s engine blew. 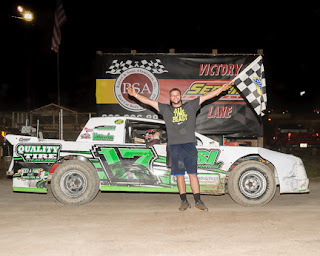 Hale lost his lead on the restart as he, Tod Darda, Joey Armistead and Dustin Elliott ran four-wide past the flag stand daring each other to try and hold their position as they charged into the first turn. Darda would escape the second turn with the lead with Elliott sliding past Hale on the next lap to snag second place. 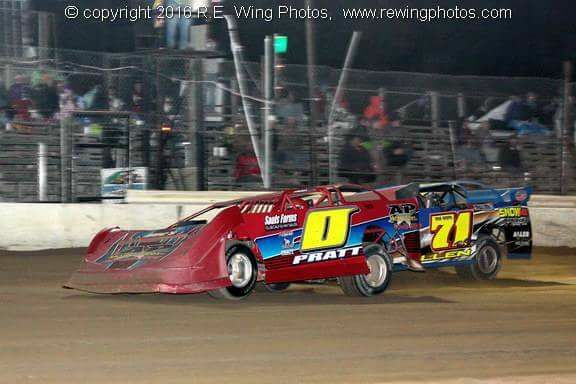 As Darda sped away, Elliott and Hale raced side by side until twenty-year-old Joey Armistead split them perfectly coming out of the second turn. The former division champion, Armistead, threaded the needle to move into second place setting his sights on the veteran Darda. Darda would not waiver though as he picked up 40th career Limited Late Model victory at Senoia Raceway ahead of Senoia’s Armistead and Elliott of Pine Mountain. 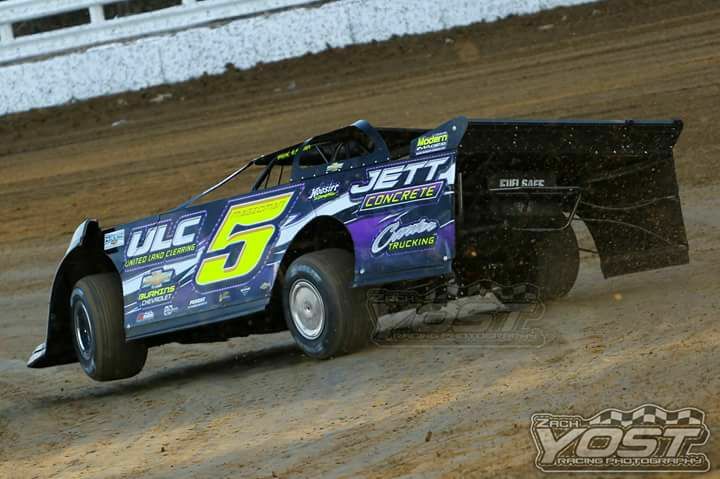 Greenville’s Thomas Mewborn made an exciting final lap pass of Hale to steal away fourth leaving Hale in fifth. 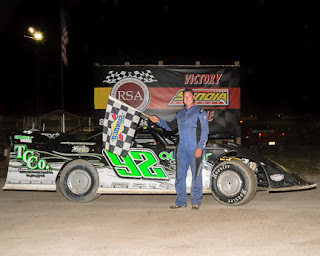 Marty Lunsford went flag to flag for his second victory of the season in the Crate Late Model division. 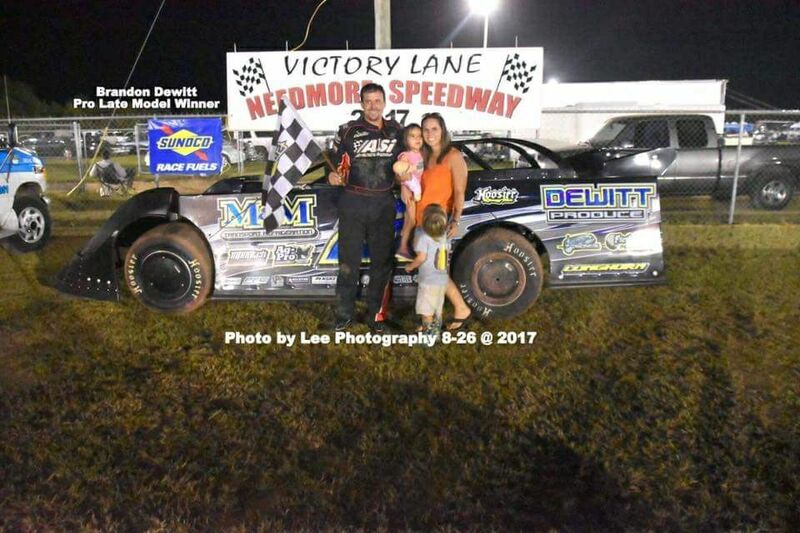 The 2016 points champion battled with this year title winner, Jamie Maurice of McDonough, through most of the 20-lap main. 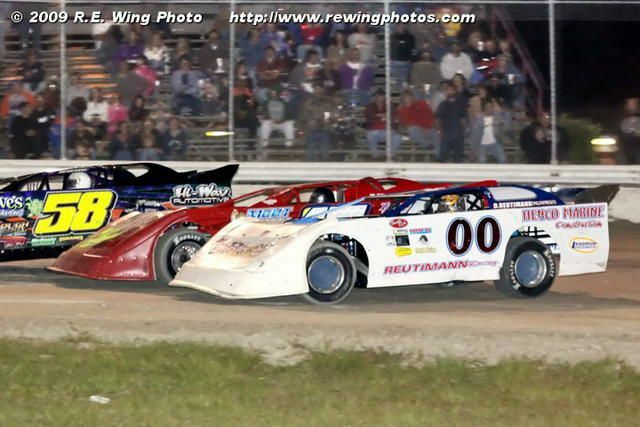 But when the checkered flag fell, Lunsford was first ahead of Maurice, Oxford’s Randall Powell and Sharpsburg’s Wayne Harbin. 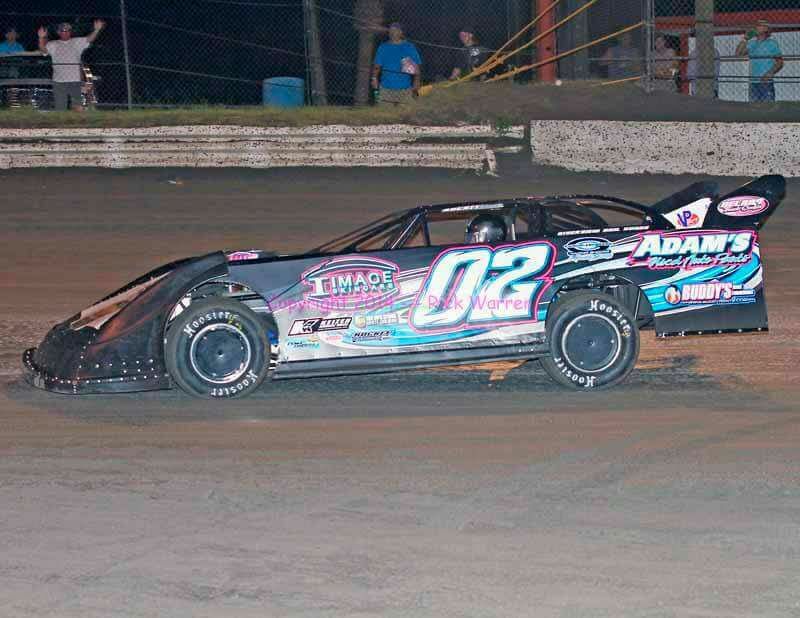 Dennis Lykins, Jr. of Sharpsburg was late to the track and had to start scratch on the field, but he passed the most cars finishing among the top five. 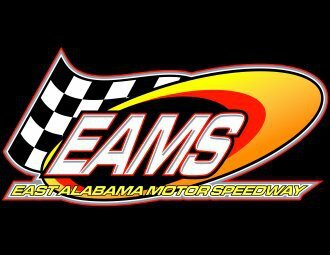 Cautions and wrecks marred the action in the Late Model Sportsman as Dylan Knowles outlasted Newnan’s Craig Scott and Bobby Arnold. 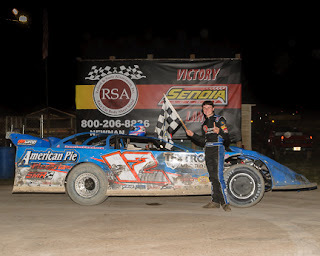 Knowles led every lap as he snapped the two race win streak of Scott. 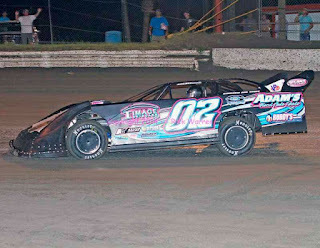 Bobby Arnold also snuck past Scott to finish in second. Points champion Keith Fields of Griffin ran fourth ahead of McDonough’s Levi Campbell, who enjoyed his best finish of the year in fifth. Shane Tidwell won Hobby feature on opening night in March, but had been held out of the winner’s circle the remainder of the season. 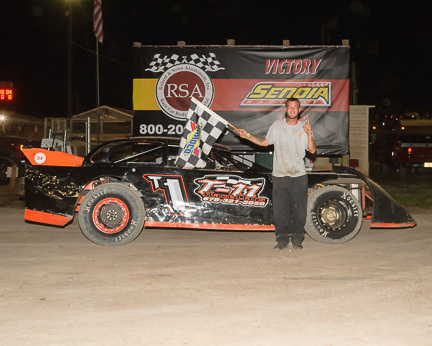 That changed on Saturday night as Tidwell held off five-time feature winner Ted Willingham of McDnough. Tidwell’s car began to push in the latter stages of the race, but Willingham could not change the outcome settling for second. Douglasville’s Cory Hillman finished third after starting at the back of the pack. 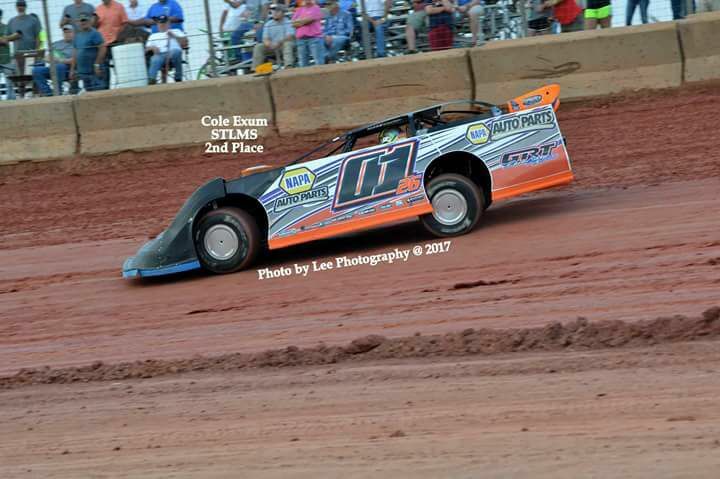 Woodbury’s Brandon Henderson and Jeremy Butler of Lithia Springs nabbed their first top five finishes of the season finishing in fourth and fifth. 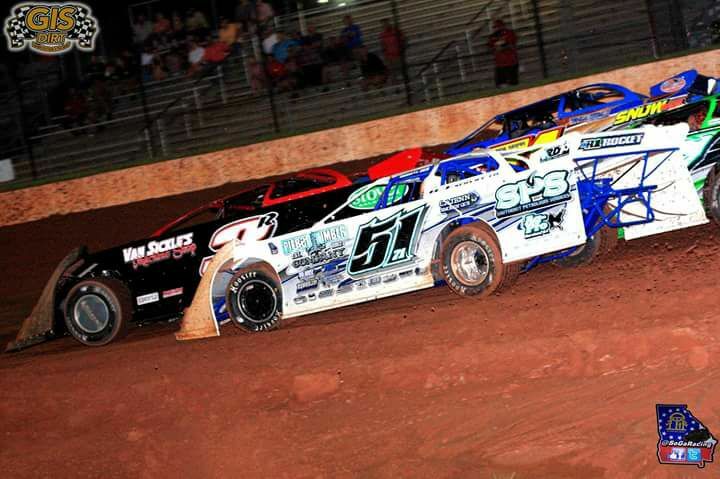 Mark Newton overtook the lead from Griffin’s Marc Leath on lap three of the Mini Stock race and then cruised to his tenth win of the year ahead of Good Hope’s fourteen-year-old Grant Roberts and Locust Grove’s Jamie Nicholson, Sr. Leath was the fastest qualifier early in the evening lost power just as the white flag flew as he fell all the way to seventh in the final tally. William Blair went flag to flag for the Bomber feature race victory while Nathan Farrow celebrated the win in the Hot Shots. It was Blair’s first Senoia Raceway win in over three years and Farrow’s first since April. 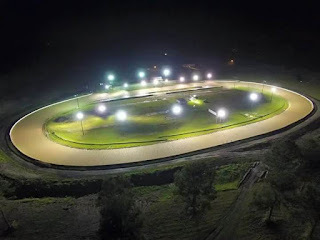 The track will now take a couple of weeks off before resuming racing action on Saturday, October 7th. 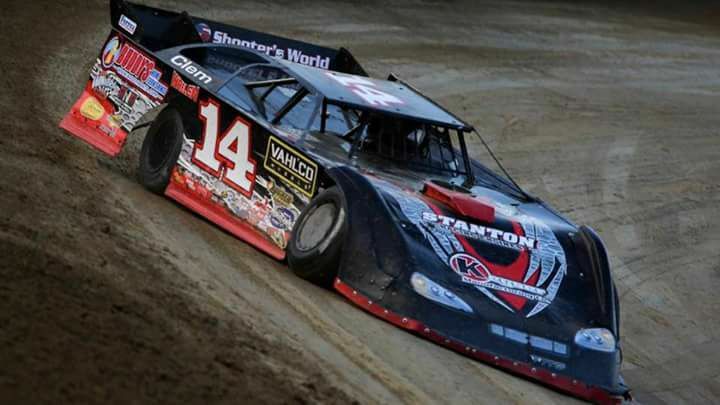 The ‘warm-up race’ for the Showdown at Senoia will feature a full night of racing in the Super Late Models, Limited Late Models, Crate Late Models, Late Model Sportsman, Hobby Stock, Bombers, Mini Stocks and Hot Shots. 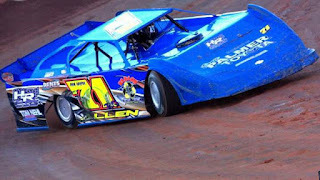 A full schedule of events slated for the month of October is available at www.senoiaraceway.com. 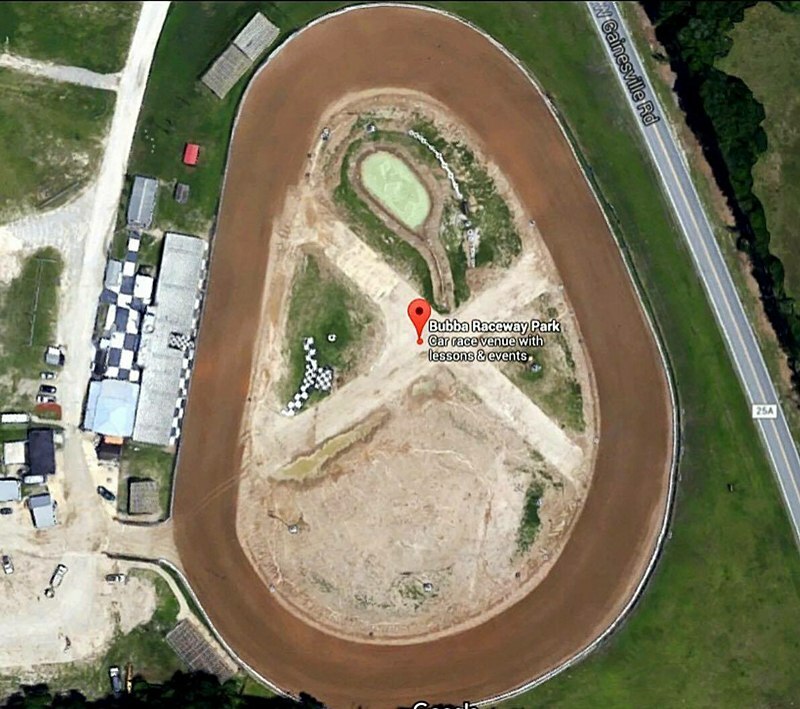 Senoia Raceway is located just five miles west of Senoia, GA, on Georgia Highway 16. Easy access from both Interstate 75 and 85. 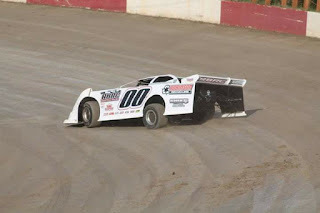 For additional information, visit the track website at www.senoiaraceway.com or call the speedway at 770.599.6161. (September 7, 2017 - Senoia, GA) Officials with Senoia Raceway have opened its camping facilities free of charge to evacuees seeking refuge from the approaching Hurricane Irma. Senoia Raceway and it’s expansive parking area will be available for those in need of free camping space. 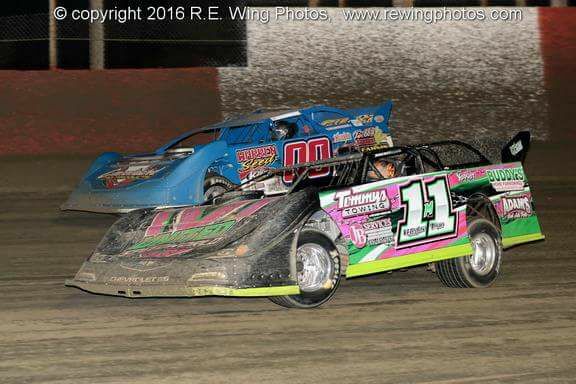 The track will also offer evacuees free grandstand admission on Saturday night to their Season Championship event. Senoia Raceway is located five miles west of Senoia, GA on Georgia Highway 16. Easy access from Interstate 75 (Exit 205). Saturday night’s Season Championship program will feature competition in the Super Late Model, Limited Late Model, Crate Late Model, Late Model Sportsman, Hobby, Mini, Bomber and Hot Shot divisions. Evacuees with photo ID from areas currently being evacuated will be admitted into the grandstand free of charge. For additional information, visit the Senoia Raceway website at www.senoiaraceway.com or call the track directly at 770.599.6161.